Cardboard cover strong spiral bound. Includes matching blue ink ballpoint pen with cardboard holder. 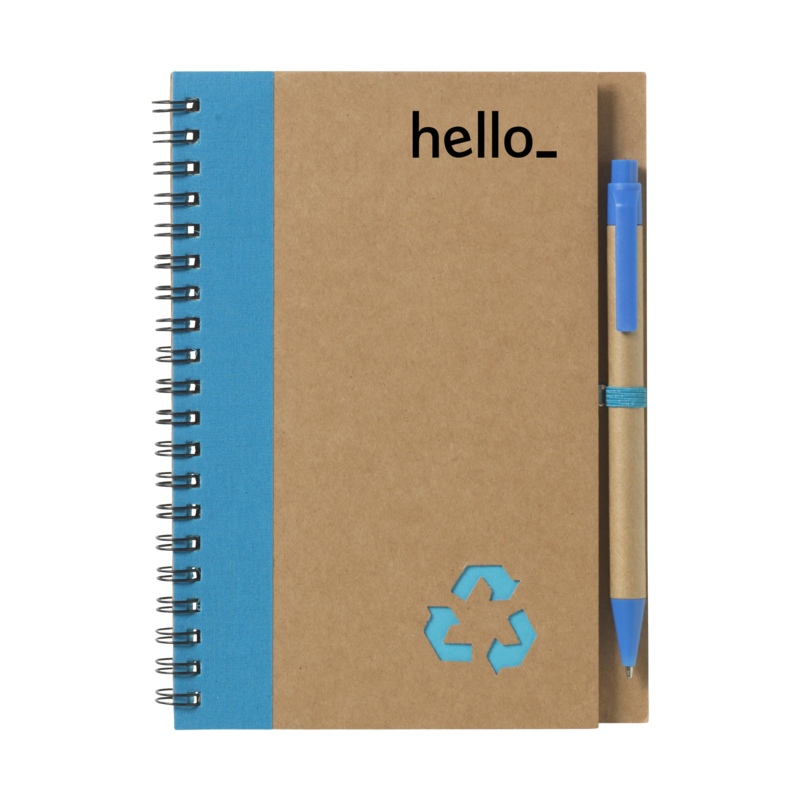 The recycle note-l notebooks that is chosen in most cases can be selected via our website. 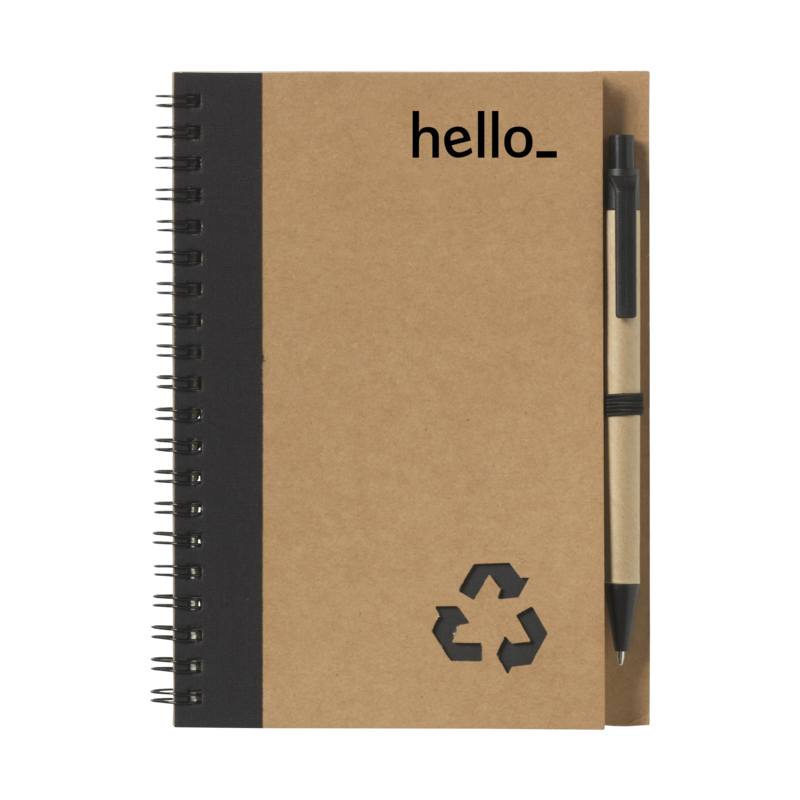 Environmentally friendly notebook made from recycled material, with approx. 70 sheets of cream lined paper, cardboard cover, strong spiral bound on left side. Incl. blue ink ballpoint.